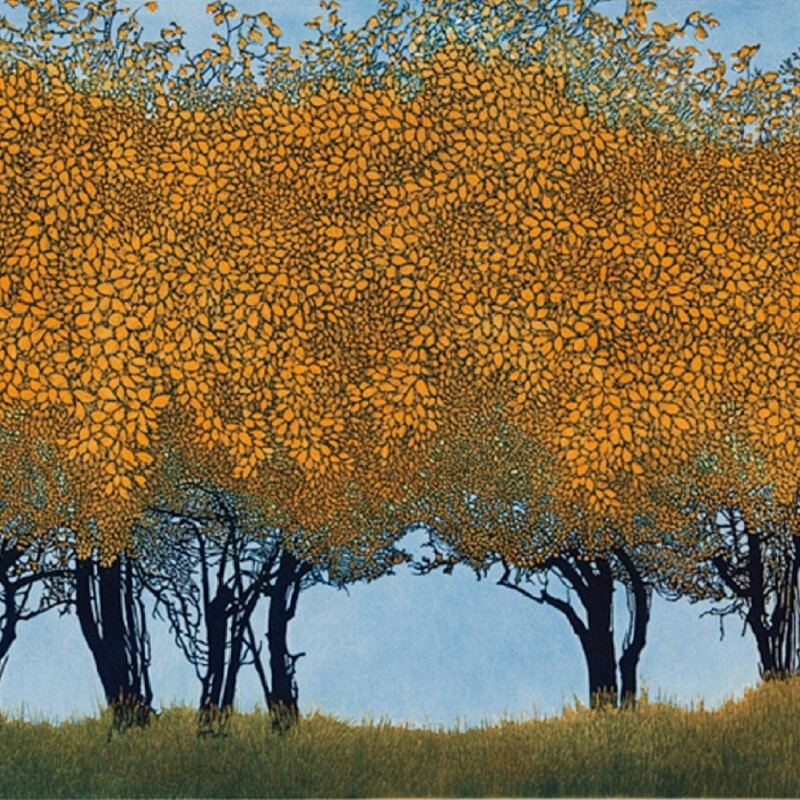 A landscape artist, Phil Greenwood works mainly on copper plates. His work is extremely economical in that he usually uses only two plates and two or three colours to achieve a great range of tone and colour by the depth of the etch and by overprinting and fusing one colour with another. His images do not always relate to a specific place - he develops and works with an amalgamation of ideas recalled. The atmosphere exemplified by the landscape is the important factor.